Fleeing to the West, a broken man, Parker reinvents himself as "No Man," a heartless gun-for-hire whose only solace comes from hunting and killing the demons who he helped set loose. 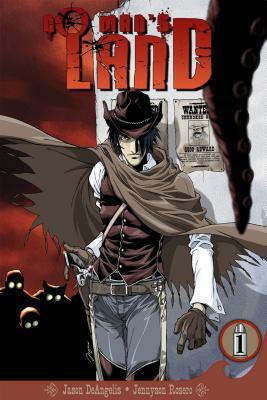 With Buntline Special in hand, a deadly revolver with a sixteen inch barrel, he blasts his way through a different kind of Old West, where strange and evil beings lurk. Jason DeAngelis brings with him an expertise in Japanese language and culture, having lived, worked, and studied martial arts in Japan for six years. Working as a freelance Japanese translator, he has translated such prominent manga titles as Berserk and Gundam Seed. He is also the Chief Creative Officer at Seven Seas, and oversees original manga production.